Kishore Kumar was simply unstoppable after the blockbuster success of 'Aradhana' - every music producer wanted him for their songs and each leading man of the day wanted to be associated with his voice. I don't remember being particularly enamored with Rajesh Khanna but do remember watching all of his movies just to hear songs from Kishore. Indeed, the Rajesh/Kishore pairing became legendary in Bollywood and soon more leading men became associated with his voice - Shashi Kapoor, Jeetendra, Dharmendra (just to name a few) and audiences simply could not get enough. The video below is from 'Chor Machaye Shor' which starred Shashi Kapoor. 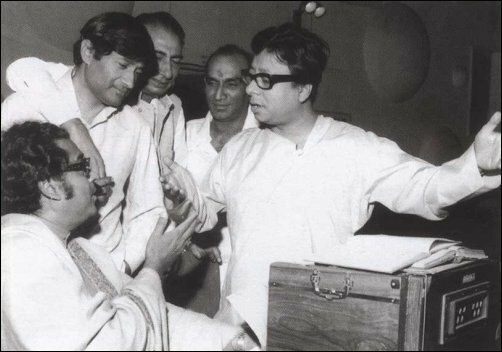 The song showcases the maturity of Kishore Kumar as an artist and was one of the signature songs of the movie as well. How bizarrely ironic! One of the DVDs in the PPCC's To Review pile is, indeed, Abhinetri. And I agree, Hema is so lovely and bubbly. Awwww. A perfect match for Shashi. And that song is such a lovely little number. Gush. Too cool & cannot wait to read your review on it. 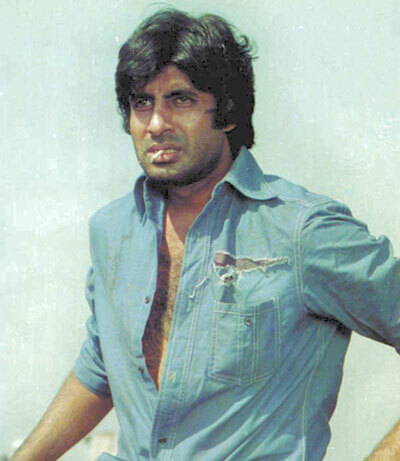 Hema just grows lovelier over time and I was just the biggest Shashi fan during his filmimaking days. These two look so good together I am amazed that they weren't cast in more movies as a pair.